Over the years, annuities have gotten a bad rap in the investment world (see “Annuities: The bad boys of the investment world?”). The trouble is some of the most vocal critics of annuities, specifically of Fixed Index Annuities, either misunderstand or misrepresent how the plans work. As a result, a lot of misinformation has found its way into the media and has been adopted as fact by many mainstream financial professionals. A recent article, “Real-World Index Annuity Returns,” seeks to dispel two major misconceptions about FIAs and set the record straight as to how they stack up against other financial products. Unfortunately, this is one we hear day in and day out, and it usually begins, “My broker told me…” It’s not that most brokers are bad people who are out there trying to prevent clients from making a change at any cost. It’s that the studies they’ve read make false assumptions and produce faulty findings. To understand why this is, we first need to understand how FIAs make money. 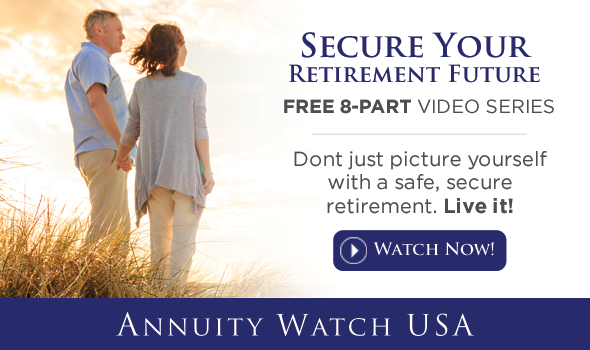 Fixed Index Annuities earn money based on the crediting methods the client selects. There is usually a fixed interest option, but for our purposes we will focus on indexing methods that allow the contract to earn gains based on the positive performance of stock market or bond indexes. If the indexes go down, the contract does not earn any return, but also does not lose any value. To provide this downside protection, the insurance company has to place some limits on the upside earning potential of the contract. These limits are called caps. Each year, the insurance company adjusts the caps up or down depending on market conditions. When FIAs were first introduced, participation rates – the percentage of the balance that could earn index credits – were sometimes limited. However, participation rates under 100% are becoming quite rare these days. Many studies that claim FIAs earn low returns make calculations based on hypothetical crediting methods, use participation rates as low as 55%, and assume that the cap rate never changes. Therefore, they may show a lower cap continuing through several years of steady economic growth with participation rate under 100%. This would skew the results to look as if FIA returns were much lower than they would be in a real product. According to the authors of “Real World Index Annuity Returns,” one major study criticizing FIAs hinges on a participation rate and cap combination that would not apply to 95% of the Fixed Index annuities on the market at the time it was written. Citing cap rates as the reason, critics contend that Fixed Index Annuities cannot keep up with stock market returns over time. Again, the evidence that supports this assertion is based on hypothetical FIA yields. That is why the authors of the “Real-World” study invited all FIA issuers to submit their actual returns from 1997 to 2010. They compiled return data from real consumer statements representing 172 different contracts. What they found was that FIAs out-performed the S&P 500 Index 67% of the time over any five year period. When they compared FIAs to a 50/50 split of the S&P 500 and US Treasury bonds, the FIAs came out on top 79% of the time.